I don’t care what you say. There will always be sports cars, and that’s what I want to design, not trams and buses.” So said Dane Henrik Fisker sixteen years ago, just before he graduated from the short-lived Swiss campus of California’s Art Center College of Design. In their final semester, Fisker and his classmates were asked to plot out ways for people to get around city centers closed to automobiles, and the sports cars he wanted to draw did not fit any rational scenarios, thus his heartfelt outburst. You have to admire a man who knows what he wants and is prepared to work as hard as Fisker has to achieve it. He started his professional career in 1989 at BMW Technik, moved to BMW AG, where he created the Z07 show car that evolved into the Z8 production model, and then went to BMW Designworks in California, working his way up to CEO before resigning to become design boss at Aston Martin-an impressive career trajectory in just a decade. Last January, he resigned from the Ford Motor Company’s Premier Automotive Group, where he was heading up the advanced design operation in Irvine, California. Afterward there was plenty of wild speculation that had him landing as design leader for almost every major car manufacturer, but Fisker soon announced that he was going to build his own cars. Doing that is the dream of many a designer, but in an era when car design is controlled more by law and lawyers than by physics and technology, it is very nearly impossible, and it requires an unreasonable amount of capital, money that small-volume car manufacturers cannot repay as quickly as venture capitalists demand. Fisker himself appears to be a leading member of the Lucky Sperm Club-not many design students can afford to run three sports cars simultaneously to get direct experience with different mechanical layouts, as he did-but he is also a careful thinker who addressed the overwhelming problems of car manufacturing and came up with what certainly seem to be practical and workable methods to achieve his goals. Goals, it need be said, that are shared by partner Bernhard Koehler, an industry veteran with twenty-two years at BMW, plus time with Fisker at Aston Martin and Ford. Koehler is the operations man in the tight-knit team that runs Fisker Coachbuild, the almost-virtual company that launched two new products at the Frankfurt auto show in September, just nine months after the company was formed. How can a single designer and one technical person design, develop, and certify a car in so little time? The answer is simple: they can’t, and they didn’t. What they did was devise a scheme that is glaringly obvious once you think about it: they use other people’s already certified cars as the basis for their work, relieving themselves of nearly all compliance problems. Fisker and Koehler have set themselves up as body builders, just as the company name states, but unlike coachbuilders in the early years of the auto industry, they do not build whole bodies on a simple ladder-like chassis frame. Instead, they remove virtually all the outer skin of an already certified car, leaving intact everything pertaining to certification: bumper structures, air-bag sensors, door hinges, hood latches, wipers and windshield washers, and dozens of other elements that have been painstakingly designed, engineered, tested, and certified by whole corps of competent people. The only certification required for a Fisker Coachbuild car (the linguistically strange name of the company presumably comes from the fact that English is the second, third, or maybe fifth language of the polyglot European principals) concerns the headlamps and taillights; they must meet DOT standards for coverage and intensity. But the expense of certification testing can be spread over 150 units, which is the stated limit of each and every Fisker Coachbuild design. And to get around the need to prove that their new skins do not substantially modify the crash comportment of a car, Fisker Coachbuild performs its transformation only on cars already owned, and registered, by the client. If you want to own one of the 150 Tramonto (sunset in Italian) roadsters, you must first go to your Mercedes-Benz or AMG dealer, buy the base car, and register it in your name. 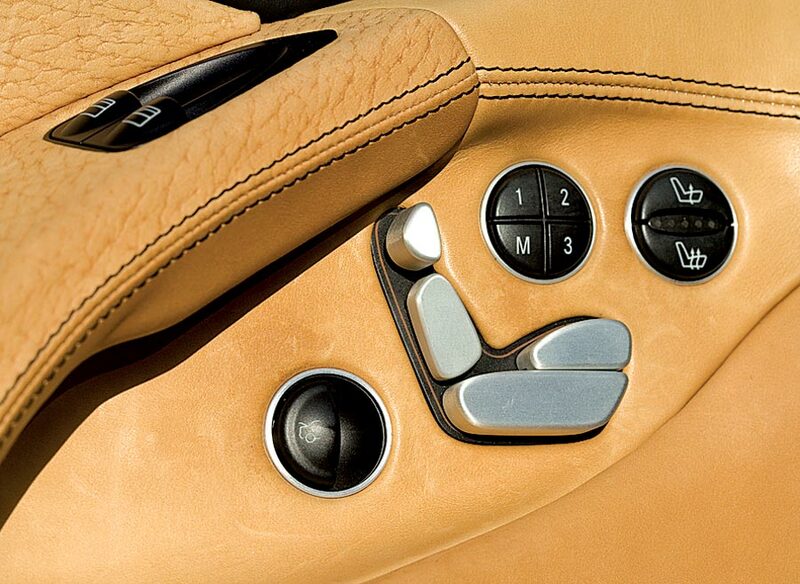 Then you turn it over to Fisker Coachbuild in California for a total transformation. Apart from the windshield pillars and the folding hard top of the basic Mercedes-Benz SL, every exterior surface of the Tramonto is new, executed in stamped steel (the welded-in rear quarter panels), aluminum, or carbon fiber. The car actually does look new, and most observers are inclined to ask, if they are aware that there is something established underneath the skin, “Is it based on an Aston?” The grille Fisker has chosen as the symbol of his venture is inspired by the frontal aspect of the F-22 Raptor fighter plane, but it unfortunately looks very much like the traditional Aston Martin grille shape on top, and it is repeated inversely on the lower side. It is nice, but in my opinion and that of several other designers who saw the car at Frankfurt, too closely linked to a known identifying shape. In terms of quality, the car is all but flawless. The fit of panels, the gaps between them, the surfaces of the body, the paint . . . all are as close to perfect as the human hand and eye can make them. The interiors are superb, with hand-fitted leather stretched over a larger percentage of the cockpit than in almost any production vehicle. 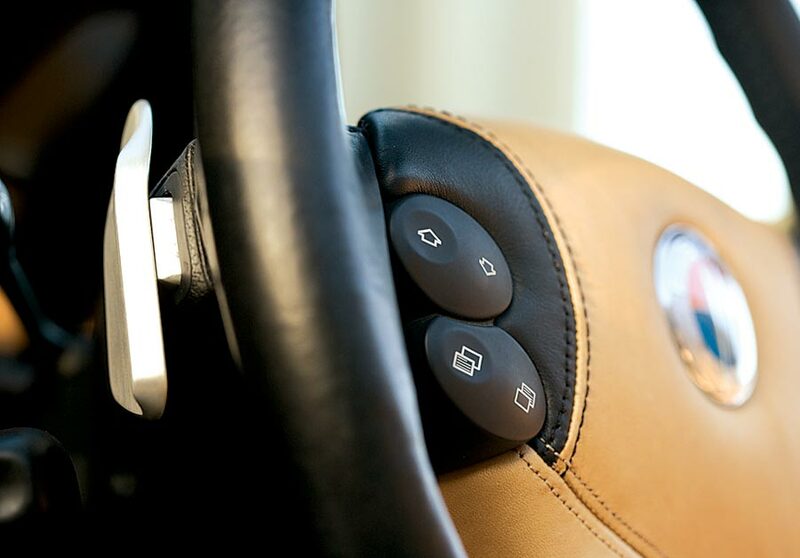 Machined metal elements replace the plastic shift paddles, seat adjustment buttons, and other details of the base car, and the impression is that the cars cost more than they actually do. The Tramonto transformation costs $128,000 more than the base car, which can be a V-6 (in Europe), a V-8, or a V-12, as you like. You can obviously go up from there, adding select visual features or electing to adopt the Performance Plus package from Danish tuner Kleeman. Should you so choose, you can have really exotic hides, from alligator to ostrich. You need but ask. The typical Tramonto will run owners about $300,000, a princely sum that gets you an exclusive vehicle with absolutely none of the twitches, creaks, flaws, and eccentricities of small-volume cars. The Tramonto remains as defiantly practical as any Mercedes SL. 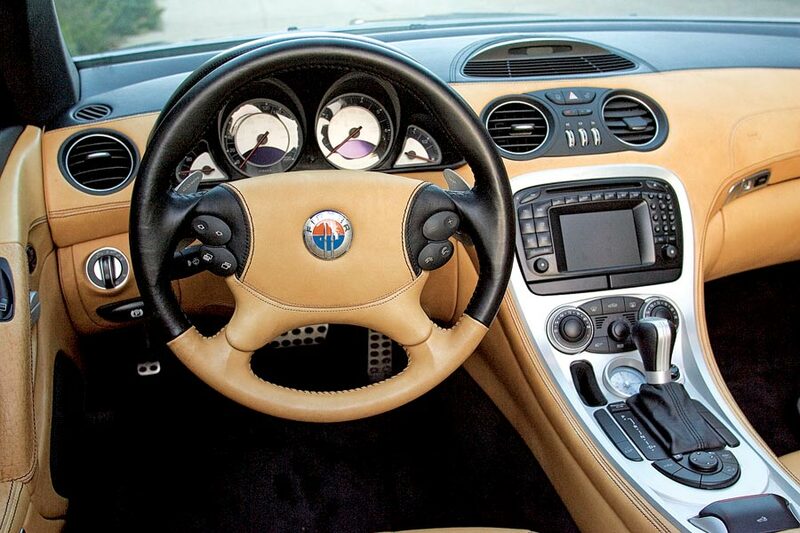 Should that be too much, and the desire to have the only car of its kind on your street is overwhelming, you can own a Fisker Latigo CS coupe for just $200,000. It will be a rebodied BMW 6-series coupe with a V-8 engine, or you can spend a bit more and base your Latigo on the M6, with its Formula 1-like V-10. The Latigo was on the stand in Frankfurt, and a short run in the prototype last August confirmed that it is fully up to the standards of most car manufacturers, although Fisker, while driving it back from Laguna Beach to Dana Point, remarked that it had a long way to go to meet his requirements. There is no real limit to the base chassis that might be chosen. Just as coachbuilders in the 1930s, at the height of the art, carried out their work on myriad chassis, Fisker Coachbuild can work with any underlying base that will support a $128,000 upgrade. The Bentley Continental GT? Check. The Z06? Check. 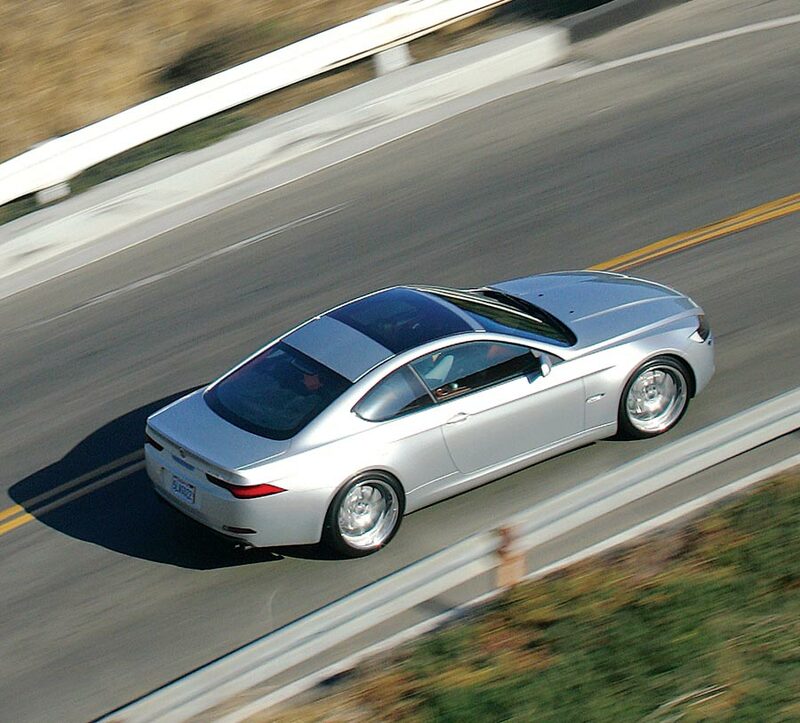 The Jaguar XK, the , or the upcoming Audi Le Mans? No problem. Any car with the underlying qualities that would make a wealthy individual choose it as an expression of his or her own taste and knowledge will be fair game. It is easy to see that Fisker could make the loathsomely pudgy Lexus SC430 into a desirable car. If he needs or wants to make an SUV, there is the just begging to be made attractive. Of course, he could rebody a Lincoln Town Car, too, but the likelihood of selling just one, let alone the 150 units that the company considers necessary for a profitable continuing existence, is virtually nil. No, like the coachbuilders of yore, Fisker and Koehler are condemned to work only with the finest basic vehicles, cars able to support the additional cost of a no-compromise, ultra-high-quality refit. They set one up on a surface plate, scan its contours, then strip the skins and scan it again, finding and noting the three-dimensional coordinates of each attachment point. Then, working from the digital database thus established, they can transform one of Fisker’s sketches into numerical information for the tooling fabricators, making sure not to infringe on any space occupied by existing elements nor to consume the space left for pedestrian safety between the original skin and the hard bits beneath. There will be others wanting to exploit the insight and enterprise of this team, but it has a head start, a small but well-informed investor group behind it, and an order book with enough customers to assure profitability from the first project. It is always hard to predict the outcome of new automotive ventures, but based on the skills, knowledge, and driving desire of its instigators, we think that Fisker Coachbuild will do just fine.